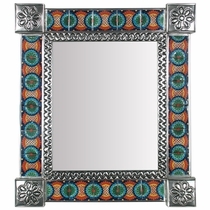 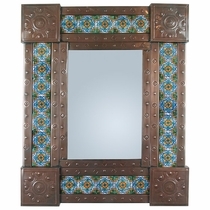 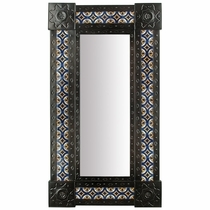 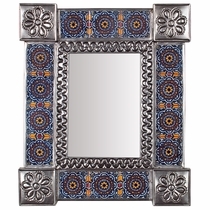 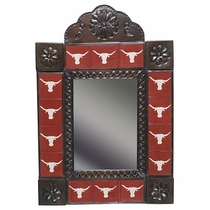 Our Mexican Talavera Tile mirrors are all hand crafted with natural and aged tin by skilled craftsmen. 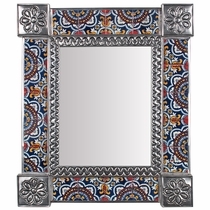 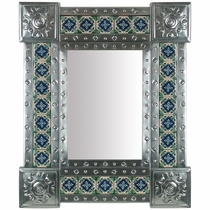 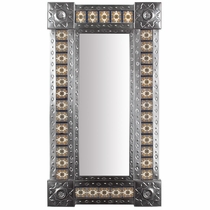 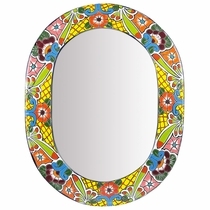 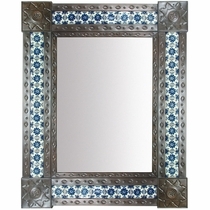 These punched tin decorative wall mirrors with Talavera tile insets make a great addition to any room. 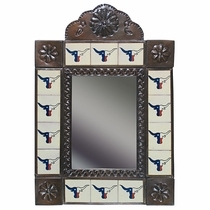 The colorful tiles will enhance any southwest, ranch or Spanish colonial decor throughout your home. 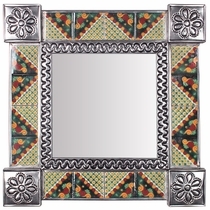 Note: Tile colors and patterns vary. 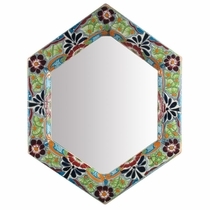 Hexagonal Talavera Mirror - 16.5" x 21.5"